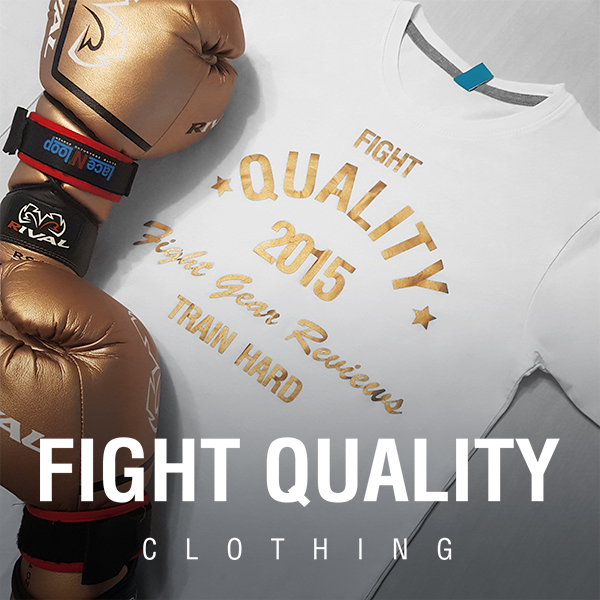 MTG Fight gear are a fight gear company dedicated to the sport of Muay Thai. Although they do not currently sell products directly, their products can be bought from a range of distributors internationally. These hand wraps come in different lengths and styles. As with most hand wraps, you have the option of 2.5m and 5m hand wraps, and these come in either ‘elasticated’ or ‘non-stretch’ versions, depending on how you like your hand wraps to fit. We went for the 5m elasticated wraps, as we feel the combination of length and a closer fit provide the most protection. There also seem to be two different styles of the Velcro strap, one with a large patch the whole width of the hand wrap, and the other just a thin, long strip. We picked up the version with the long strip, however with hindsight we would advise picking up the other style if possible for a more secure closure. The hand wraps come in a huge variety of colours, and even a number of patterned wraps for fighters who like to show off a bit of their personality through their gear. I picked up the black version of these. While I obviously can’t speak for the vibrancy of the colours, I can say that the colour has lasted incredibly well, with only the tiniest bit of fading around the edges, despite heavy use. The Black, red and white MTG label stands out well, however isn’t as flashy as carrying around a top brand label. It’s also started to fade slightly, but not much. These wraps are 5 meters long which means there is plenty to provide a great amount of protection around the knuckles and hand. They’re made out of a highly durable cotton, with a slight stretch to them. The stretch is fairly mild though, so fits tightly without squeezing too much. The only let down with these wraps is the Velcro. After a while, the hooked side seems to have lost a large number of the hooks, meaning that the Velcro closure is much less sturdy. These hand wraps are fairly comfortable to wear. They aren’t quite as soft as some other brands, but they seem more sturdy and secure. The fabric is fairly thin, so although the wraps are 5 meters long, they don’t take up a massive amount of room inside a glove. Despite the slight stretch, I’ve found that the wraps sometimes have a habit of coming loose a bit at the ends, from either movement inside gloves or through other activities such as holding pads while still wearing gloves. The main disappointment with these hand wraps is the Velcro. As mentioned previously, the versions we used had the thin Velcro strip. For anybody with slimmer wrists, this strip goes around way too far, leaving up to half an inch of excess Velcro, which gets caught on the fabric and shreds it up a bit. To anybody getting these hand wraps, we would suggest trying these on and cutting any excess Velcro off the first time round to avoid this. As mentioned at the start, there is an alternative version of these, which appears to be slightly more of a secure closure. Without the Velcro problems, these hand wraps would have few issues. These seem to Range from about £10 to £20 online, which is quite a lot compared to most brands, but in my opinion the comfort makes up for this if you can spare the extra money. I wouldn’t go so far to say these are good value, but if you look after these and try to avoid letting the fabric get caught up too much, these are certainly a really nice pair of handwraps.